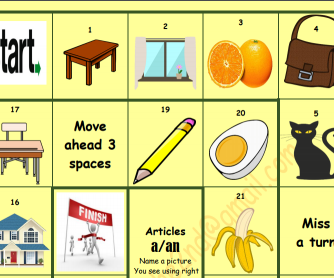 This board game can help your students practise indefinite articles a/an. The task: to name a picture using correct article. I created this board game for 8-9-year-olds. I used words we have studied before. 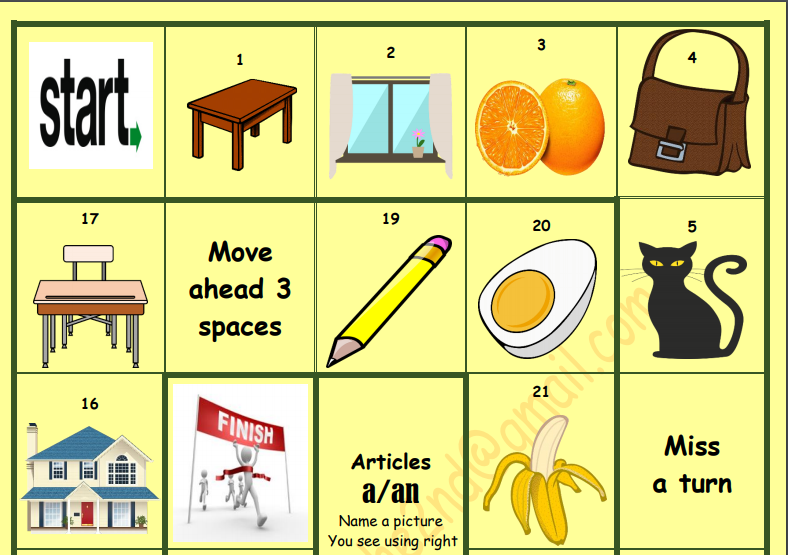 Here are the words in the order they are listed in the board game: a table, a window, an orange, a bag, a cat, an apple, a pen, an umbrella, a dog, a camera, an eraser, a chair, a house, a desk, a pencil, an egg, a banana, an ice-cream, a pencil case, a book, a door.